How cool are these?! 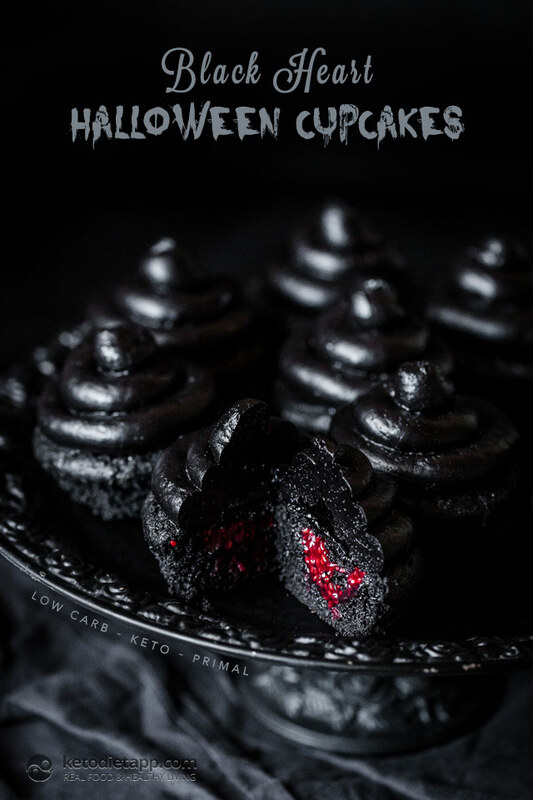 Perfectly dark and spooky treats for your Halloween table, and they taste incredible! These are made using black cocoa, which can be tricky to get hold of. 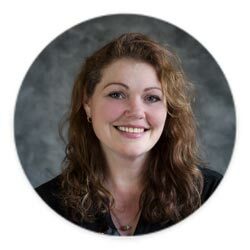 Try online stores if you can’t find it locally. Alternatively, you could use Dutch process cacao and black food colouring, but you will need to check on the macros if you deviate from this recipe. 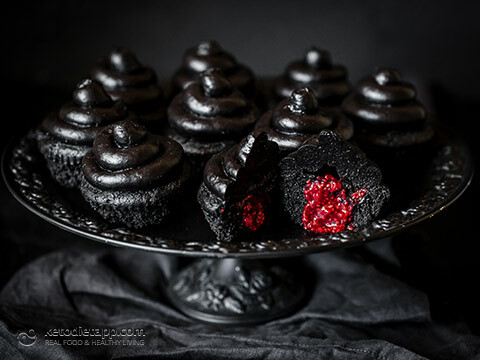 Black cupcakes, topped with a luscious pile of creamy black frosting... all hiding the oozing red centred surprise. This recipe makes 12 muffin sized cakes or 24 mini-muffin sized. I can’t decide which is best, sinking my teeth into a big gooey muffin or popping an entire mini muffin in my mouth. More research required, I think! Enjoy! Pre-heat the oven to 175 °C/ 345 °F. Cream the butter and sweetener until light and fluffy using a stand mixer or hand beaters. Add the yoghurt and mix to combine. Add the eggs and beat well until combined. Add the almond and coconut flours, the black cocoa, salt and baking powder and mix on low until combined. Scrape down the sides of the mixing bowl occasionally. Place liners into 12 muffin liners into your muffin tray and use a 1/4 cup measure to disperse the batter into each liner. Bake for 30 minutes and then leave to cool. Meanwhile, soften butter and cream cheese slightly and whisk with your mixer until combined and fluffy. Add the black cocoa, sweetener and vanilla and whisk to combine. Spoon into a piping bag with your chosen nozzle and set aside. When the muffins are cool, use a sharp knife to hollow a section out of the top. I find it easiest to do this as a cone, with the point in the centre. 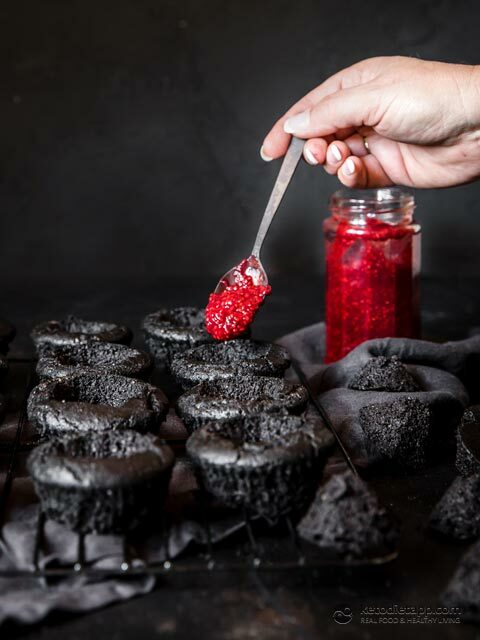 Spoon a heaped teaspoon of chia jam into the well of each muffin. Cut a thin slice off the top of each removed section of muffin and place it over the top of the jam as a lid. You will have a small amount of leftover muffin dough which you can just eat as it is. Pipe your frosting on top of each muffin. Store in the refrigerator, in a covered container, for up to 5 days. 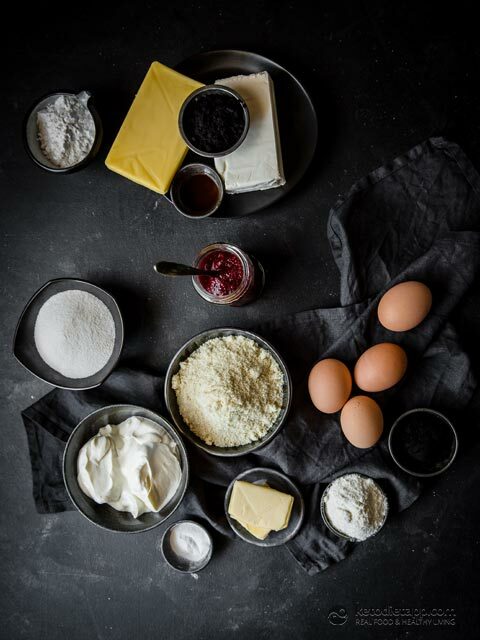 The centre of each muffin way get soft with time due to the moisture content if the jam. Remove muffins from the fridge and return to room temperature before serving. I have to say I was disappointed. I used Jet Black Cocoa powder but there is nothing black about my cupcakes or frosting. They both look like dirt. How did I think the small amount of cocoa powder would turn all those white ingredients black? The taste is good. 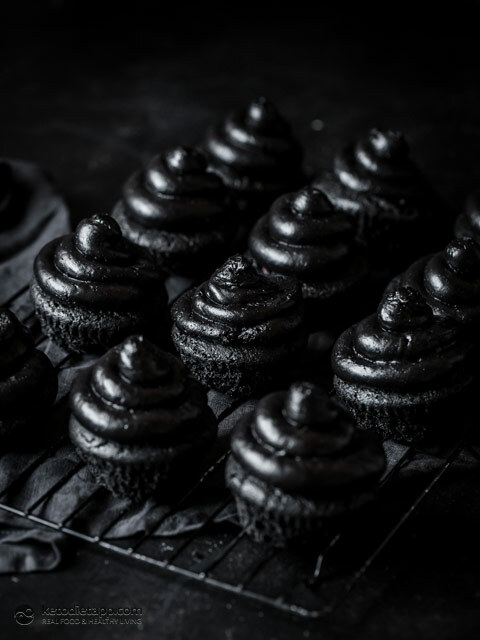 I hope the kids to whom I promised black cupcakes for Halloween are also disappointed. I'll ask Naomi to double check it but I assume this can be the case of the cocoa powder not being dark enough. Was it the muffin part or the frosting that was not dark enough? Would 1 more tablespoon in either help? That must have been so disappointing for you! I agree with Martina, the black cocoa powder that I used is an Australian brand that I bought from a commercial baking supplier so it may be that the Jet Black one isn't quite as dark? Although I googled it and it seems very dark. 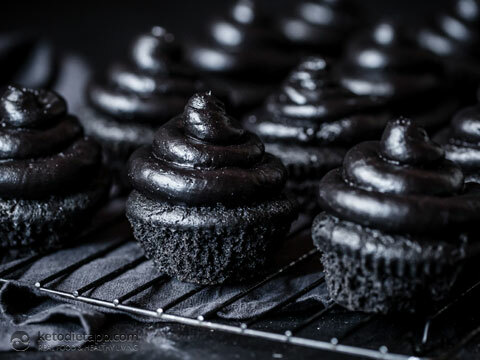 You could try using activated charcoal, although it will affect the texture slightly, especially in the frosting. Loved this recipe! I was out of raspberries so made it with black currant chia jam (a little more carbs though), also made half the frosting but I am weird that way)) anyway the flavors are beautiful! Thank you so much! 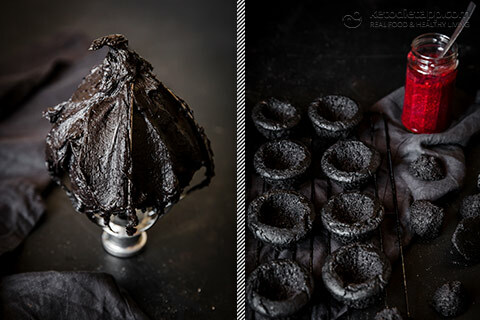 Instead of black cocoa can I use charcoal powder? 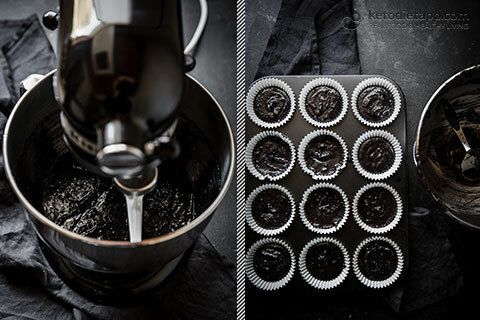 I was thinking that too before I found the black cacao powder  I'd go with 1.5 to 2 tablespoons of Dutch process cocoa powder and 1 to 2 teaspoons of activated charcoal in the muffins and also in the frosting. I hope this helps!